The weather this week has reached over 30 degrees! To keep cool we have had lots of fun and completed our challenges in the outside classroom. Have a look at some photos! 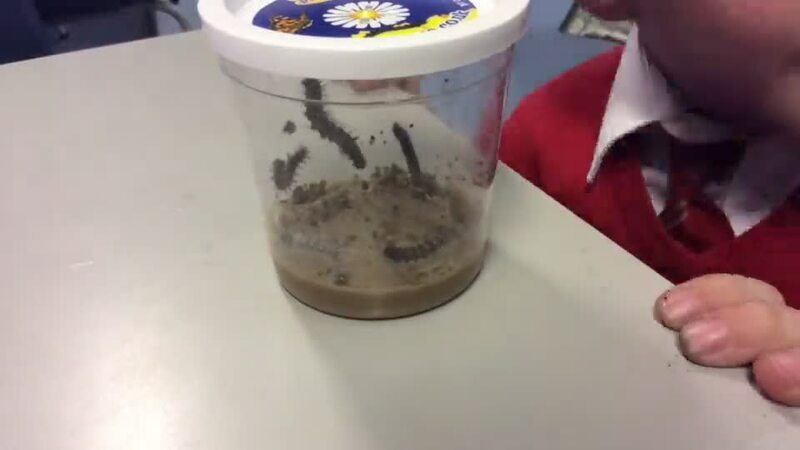 We have caterpillars! Watch this space for updates on our caterpillar diary! 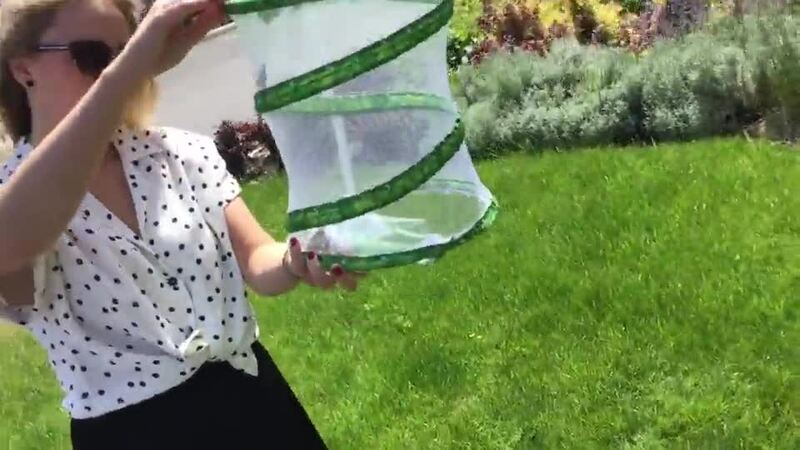 Day 13: As of today our caterpillars have official names and have moved home into our butterfly net! We have each predicted the date our caterpillars will become butterflies. We have also voted for our favourite names! 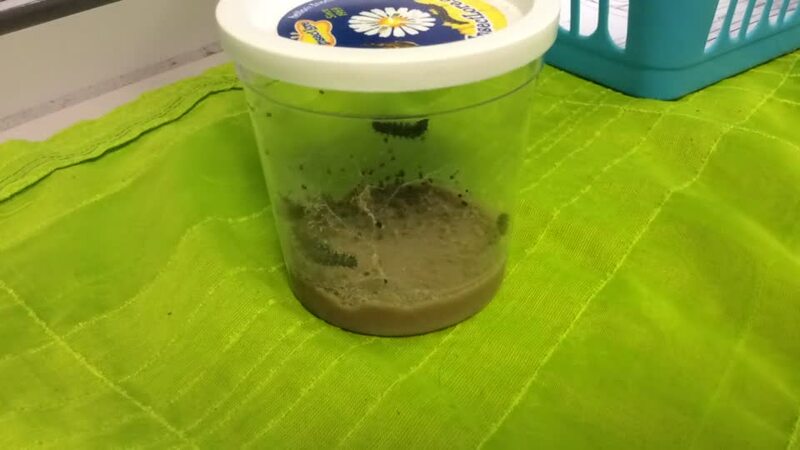 Day 10: our caterpillars have begun to make their chrysalises today! Our caterpillars were very active today! Week 2 of our Caterpillar diary! Day 1: still very small! This half term we are learning about flowers and insects. Watch this space for our updates! Our entry point was to explore the wildlife garden and photograph any interesting plants or insects we found there. We found worms, spiders, snails, woodlice and lots of strange plants! This week we explored in the KS1 playground and made tally charts of the insects we found. We then collected some insects in our insect holder and observed them up close. We noticed lots of things about our snails, worms and slugs that we had never seen before! Today we looked at plants which are eaten and which part of the plant they were! We were very surprised to learn that we eat leaves and stems which are better known as vegetables! We have had a very busy time at school this December and have had Christmas parties, productions, lessons, dinners and visits from Santa! As our third IPC topic of the year comes to an end and Christmas approaches it is amazing how busy we have been! Alongside learning the story of the Elves and the Shoemaker we have investigated waterproof materials, designed our own shoes, painted shoes in the style of Vincent Van Gogh, compared, investigated what things are made from, described materials and much more! We were very lucky to have an ice-cream man visit us to help us raise money for Children In Need! We had loads of fun wearing spots and eating rainbow ice cream! For our next IPC topic we have done lots of work on the traditional story, 'The Elves and the Shoemaker'. We are also investigating materials and the properties that different fabrics and materials have. Black History Month: Martin Luther King Jr.
For Black History Month Year One have learned about the life of Martin Luther King Jr.
We found out lots about his life and the problems he faced and have written facts about him. We then listened to his speech and thought about what our dreams for the world would be. After that we looked at how things have changed since Martin Luther King Jr. began his campaign. As our final piece of work we looked at two eggs that were different on the outside. We then cracked them open and thought about how they were the same inside and what this showed us. Our second IPC topic is all about transport and getting from A to B! We started by thinking about all the different types of transport we knew and labelling them. We learnt about trains, planes and tractors and so far have done lots of writing about them. In our challenge time we have sorted transport into different groups of our choosing, written stories about vehicles that come to life and have read facts about a wide range of transport. We used our creative skills to design our very own vehicle. Some of us wanted to make fast cars, some made boats and some of us made tanks and rockets! We had to choose our own material and then use our problem solving skills to build them from scratch. We're back! We have settled into our new class really well and before we knew it we had finished our fist IPC topic! Our Brainwaves IPC topic was all about our brains and thinking about how we learn best. We thought about what we were good at already and what we would like to get better at this year. We did a lot of work on being mindful, and took part in a mindful yoga session with Year 2! Another challenge we had was to build a jigsaw without seeing the final piece! We had to work as a team and use all of the 8 IPC values to achieve our goal. Please ensure both indoor and outdoor P.E kits are in school every day as our P.E day could change! Reading books are sent home each week and should be read at least 3 times a week at home.